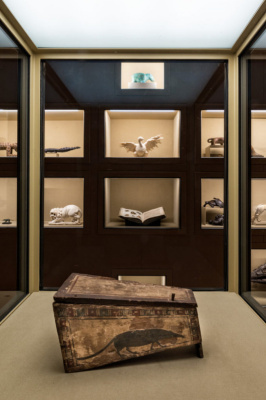 Spitzmaus Mummy in a Coffin and other Treasures exhibition at Kunsthistorisches Museum Vienna (Museum of Art History), organized by the famous American film director Wes Anderson and his wife Juman Malouf, is open until 28 April. The museum’s collections number more than four million objects, and span a period of five thousand years. Thanks to the museum’s staff, the Hollywood couple have assembled more than 400 objects drawn from all 14 of the museum’s historical collections. Perhaps, this is the largest show in the museum in terms of the number of exhibits, with many of them on public display for the very first time. 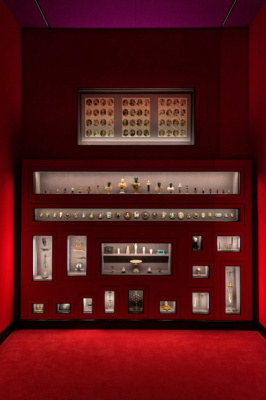 Among them are Egyptian, Greek and Roman antiquities, Old Master paintings, selections from the Kunstkammer and the Imperial Treasury, items from the Imperial Armoury, as well as pieces from the Theatermuseum, the Imperial Carriage Museum. The centerpiece is the miniature coffin of a shrew of the 4th century BC. The exhibition will be presented at the Fondazione Prada, Milan, from autumn 2019. For the first time, Austria hosts the retrospective of Mark Rothko, the great American artist of the 20th century. The entire career of an American abstractionist is represented through the prism of four dozen of his works. 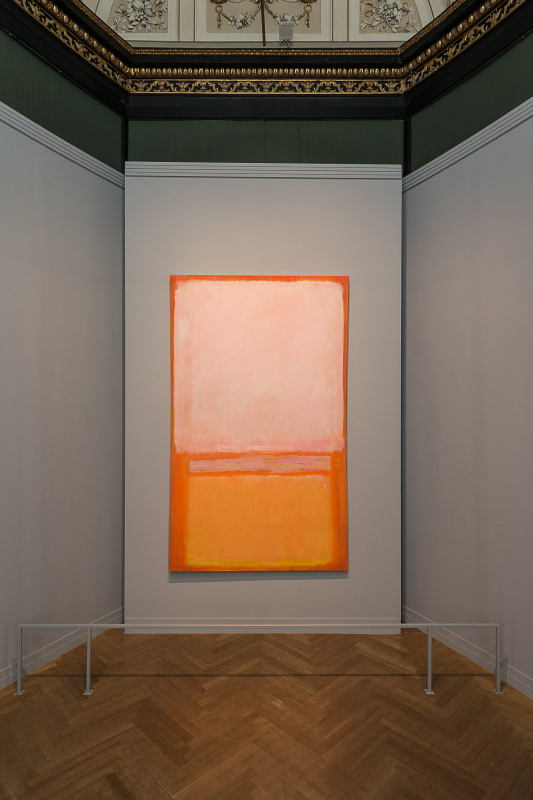 The exhibition presents an overview of Rothko’s artistic career from the early figurative works of the 1930s to those of the 1940s, and the classical abstract paintings of the 1950s and 1960s that made him famous. The show ends with the famous "fields of color" of the last decade of the artist's life, demonstrating how he studied techniques with the Old Masters, layering colors in the manner of Titian and developing a sense of "inner light" after Rembrandt. The Museum of Art History lent pictures for the retrospective from the National Gallery of Art in Washington, the Beyeler Foundation in Switzerland, the New York Jewish Museum, the art museums of Bern and Basel. In addition, some paintings were sent by the heirs of the artist - son Christopher and daughter Kate - from the family collection. The show will be on view till 20 June 2019. The ALBERTINA Museum is presenting a comprehensive selection of the most outstanding works from the Princely Collections under the title From Rubens to Makart. The museum is also devoting a simultaneous exhibition to the Viennese watercolor, an important and central category of works within the Princely Collections, in an exhibition entitled Rudolf von Alt and his Time. Both of them are devoted to the centennial of the Principality of Liechtenstein and will end on 10 June. Over 100 of the most important paintings and sculptures from the exquisite collection of this family rich in tradition like few others in Europe span an impressive range from the Early Renaissance in Italy to the Baroque period, from Viennese Biedermeier to the historicism of the Makart era. Iconic works such as Antico’s Bust of Marcus Aurelius, which was acquired for the Princely Collections just recently, the life-size bronze sculptures of Adrian de Vries, and Peter Paul Rubens’s famous "Venus in Front of the Mirror", c. 1615 (above) are the focus of an exhibition that amounts to a veritable promenade through five centuries of art history. Rudolf von Alt and his Time. Watercolors from the Princely Collections of Liechtenstein is devoted to the Viennese watercolor from the Biedermeier era to realism. Nearly 100 of the most beautiful watercolors point to the vast knowledge underlying the princely collecting passion while providing a commensurately authoritative overview of the watercolor artistry of Rudolf von Alt and his time. Rudolf von Alt. 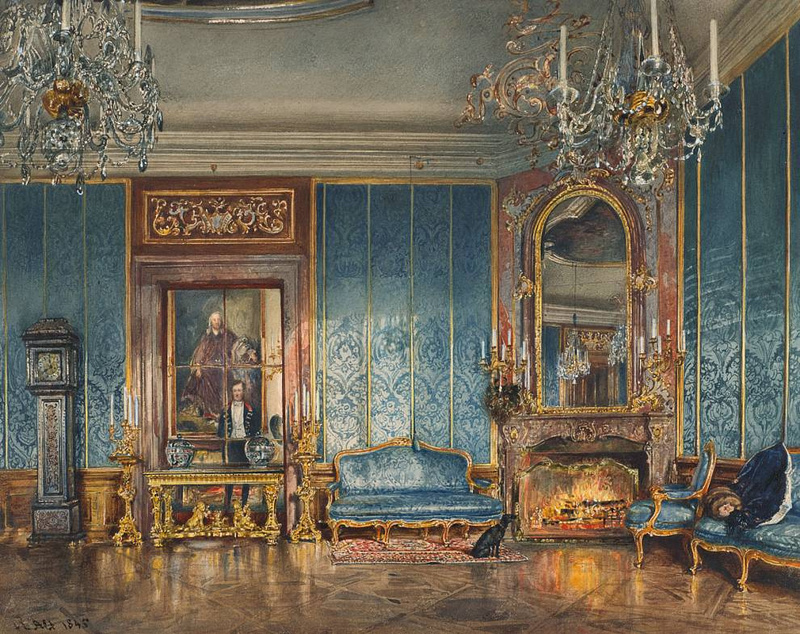 The "Blue Drawing Room" at Valtice Palace, 1845. The Lower Belvedere is exhibiting 50 female artists, most of whom have sunk into obscurity. 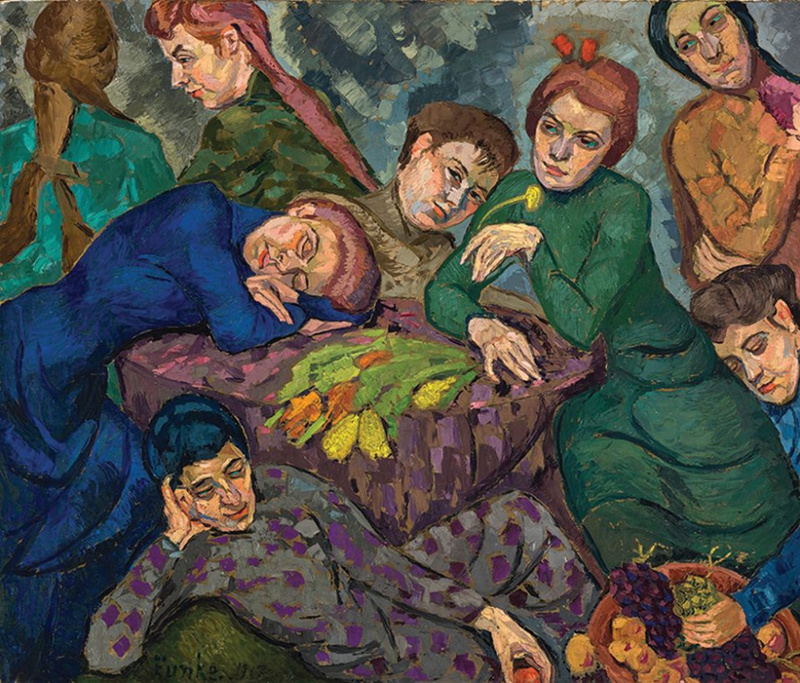 The self-taught female artists made a significant contribution to Viennese modernism and artistic trends that emerged after the First World War, but then were undeservedly forgotten. 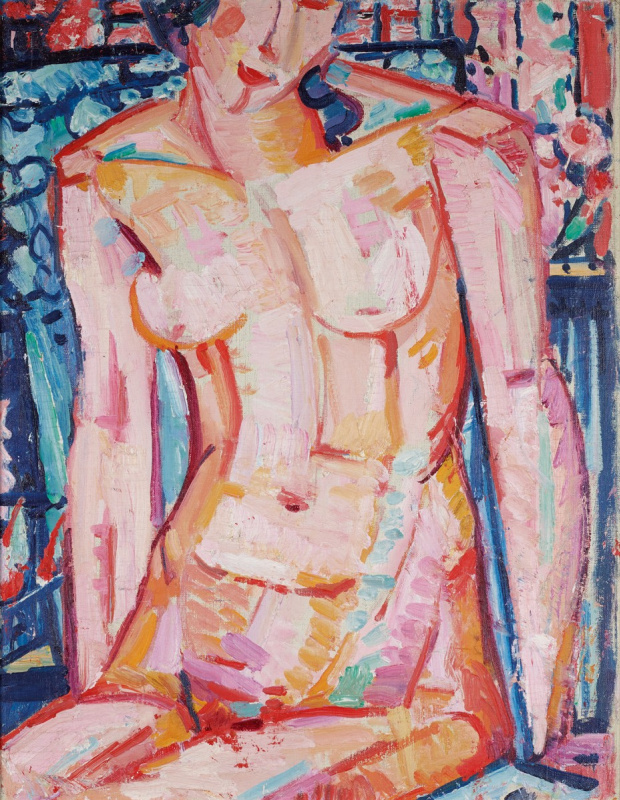 The exposition “The City of Women” (open until May 19) revives names such as Elena Luksch-Makowsky (daughter of the russian painter Konstantin Makowsky), Marie Egner, Helene Funke, Erika Giovanna Klien and many others. At the beginning of the 20th century, it was too hard for women to become artists. They were not allowed to study at the academy and had only limited access to artist associations. This also minimized the possibilities for them to hold exhibitions. Nevertheless, some of them managed to make their presence known on the male-dominated Viennese art scene and successfully build up a career. They were active on the art scene at that time and exhibited at the Secession and in the Salon Pisko, among other places. They left traces in such movements as atmospheric impressionism, secessionism, expressionism, kineticism, and new objectivity. Unfortunately, many were forgotten. The Lower Belvedere now dedicates a long overdue presentation to these courageous women. On April 6, The Leopold Museum opened one of the most complete retrospectives for today of Oscar Kokoschka, once dubbed the “chief wildling” among artists. He was able to transcend the prevailing Jugendstil of his time and went on to become a central pioneer of Expressionism. 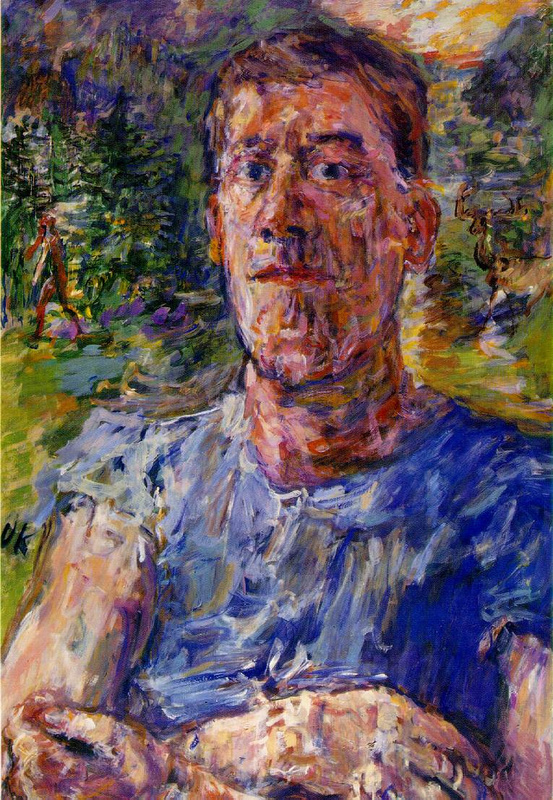 The retrospective comprising some 250 exhibits, takes into account all the periods of Kokoschka’s oeuvre with high-quality loans from international museums and private collections, featuring not only the versatile artist’s paintings, drawings, watercolors and prints but also his works for art magazines like “Der Sturm” and the theater. The exhibition has been realized in cooperation with the Oskar Kokoschka-Zentrum of the University of Applied Arts Vienna, which houses over 5.000 Kokoschka photographs. The exhibition will run until 8 July 2019. Oskar Kokoshka (1886–1980), an artist, draftsman, creator of printed graphic works, a writer, playwright and theatrical figure. His biography reflects the history of the 20th century. Defamed by the National Socialist regime as a “degenerate artist,” he dedicated his life to humanism and pacifism. The fall season will begin at the Leopold Museum with a retrospective of Richard Gerstl (1883-1908), who created an oeuvre full of stylistic innovations even before Egon Schiele and Oskar Kokoschka. This comprehensive exhibition will be the first monographic display of the artist’s works from the museum’s own collection in the last quarter of a century. In addition, the curators will conduct an unprecedented study of Gerstl’s connections to his contemporaries and artists of the present. His expressive manner of painting may have been inspired by the works of Edvard Munch, Vincent van Gogh, Pierre Bonnard and Lovis Corinth. 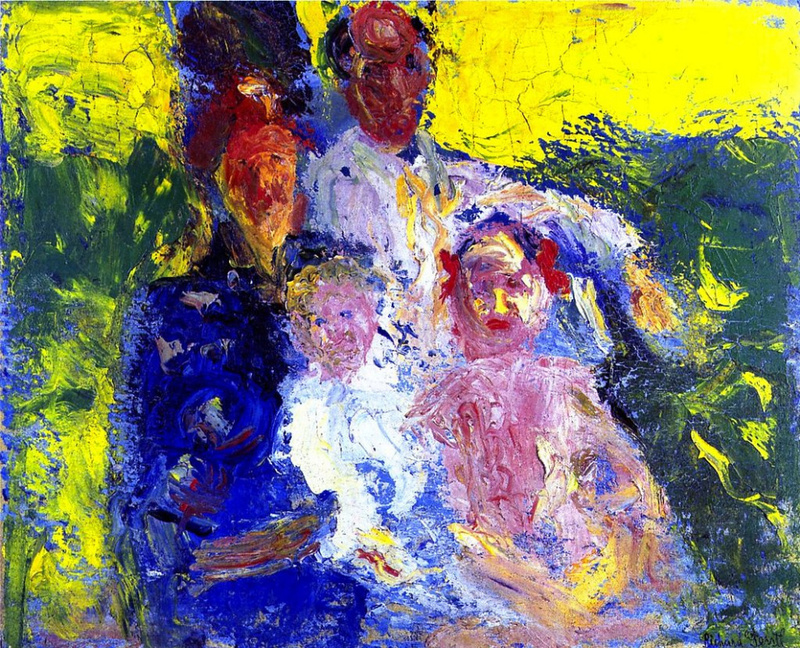 In turn, Gerstl inspired a number of painters, including George Baselitz and Paul McCarthy. 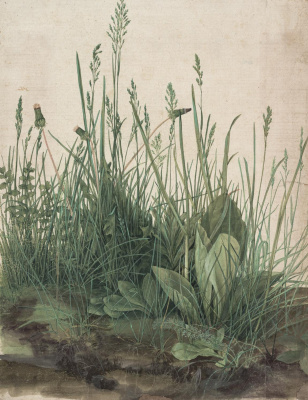 The Albertina Museum makes the most anticipated exhibition of this year - Albrecht Dürer, from 20th September 2019. 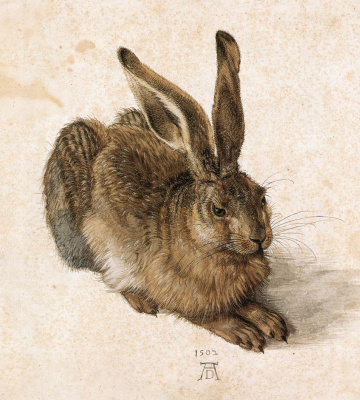 The Museum is home to the world’s most important collection of drawings by Albrecht Dürer (1471–1528). An extensive exhibition with 140 artist's works from museum's collection and international loans will focus on Dürer’s drawn oeuvre— presenting it as an artistic achievement that is in every respect equal to his paintings and printed graphics. This collection prominently features family portraits and both animal and plant studies as well as the lion’s share of Dürer’s head, hand, and clothing studies on colored paper. 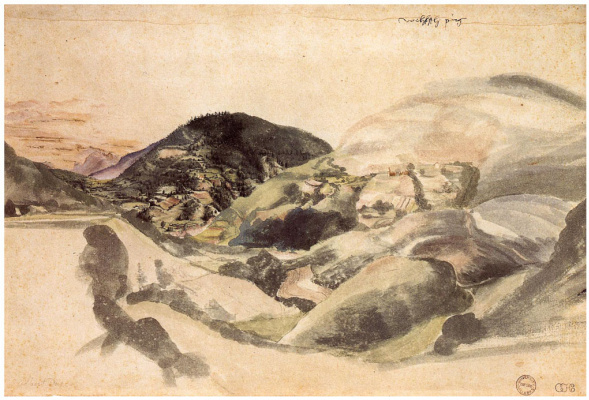 These holdings thus offer a uniquely ideal starting point from which to reconstruct his personal conception of drawing done in a workshop setting, allowing one to also gain an understanding of his personal, early-humanist concept of art. 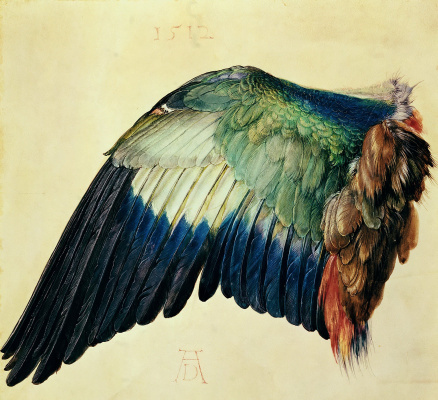 Dürer's creations indeed do go far beyond the tradition of other such exemplary 15th century works on paper in terms of their consummate technical, compositional, and artistic quality, a quality that frequently even extends to his carefully placed monogram signature. The sketch “Praying Hands” (1508) - the second most popular drawing in the world after “Vitruvian Man” by Leonardo da Vinci - will be the one of the central artworks of the show. 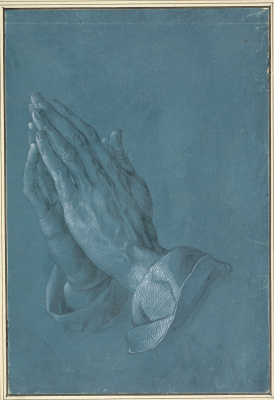 Christof Metzger, chief curator of Vienna’s Albertina, believes that the drawing depicted Dürer’s own hands and were produced “to advertise artist’s talents”. Art historians have always believed that Praying Hands was a preliminary study for the altarpiece. 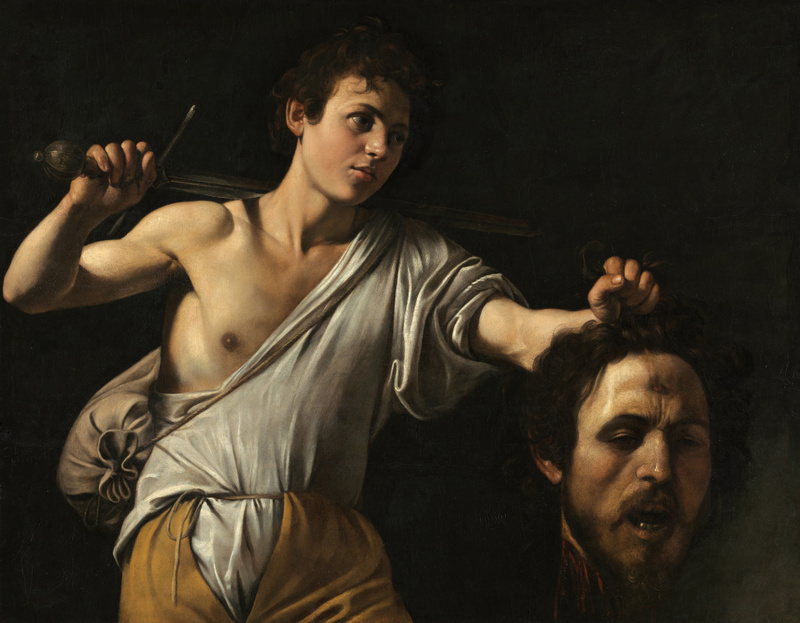 Another major international show organized this autumn by the Kunsthistorisches Museum, will be the “Caravaggio and Bernini” exhibition, on view from 15th October. The focus will be on the revolutionary work of two prominent artists, the painter Michelangelo Merisi da Caravaggio (1571-1610) and the sculptor Giovanni Lorenzo Bernini (1598-1680). The Kunsthistorisches Museum in Vienna has the most complete collection of works by Caravaggio and his followers outside Italy. But no museum in Austria has ever held a comprehensive exhibition about him and his time. A display of about sixty important works — both paintings and sculptures — are dedicated to artistic revolutions that shook Rome between 1600 and 1640 and influenced the rest of Europe. Outside Italy, there has never been an exhibition of this size and scale that brings together so many important works of the early Baroque. In the spring of 2020, the exhibition will move to the Rijksmuseum in Amsterdam.